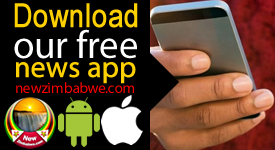 THE year 2014 has been a tough one so far for Zimbabwe. The Movement for Democratic Change, for so long the only real opposition to Comrade Bob’s autocracy, has self-combusted into irrelevance; the economy has gone from bad to much worse, with no sign of light at the end of a very long, very dark tunnel; and President Robert Mugabe and his Zanu PF are about as entrenched in power as they ever have been, smug and secure after last year’s comprehensive election victory. It’s not hard to understand, then, why so many Zimbabweans – its journalists in particular – are obsessed with the succession debate. 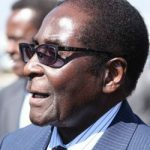 It must be a comforting thought, to think that the old man – 90 years and counting – can’t go on forever, that at some point there will be a post-Mugabe Zimbabwe. That in the near future, no matter who takes over, there will be change, any change, for surely nothing can be worse than these decades of dictator-induced stagnation? Contemplating the future, uncertain though it is, must be so much more pleasant than dealing with the present, and the uncomfortable reality it keeps throwing up – that Mugabe isn’t going anywhere quickly. In fact – even as the President is wining and dining delegates at the SADC summit in Livingstone, having just assumed chairpersonship of the regional body – he’s consolidating his death grip on the levers of power domestically. Take, for example, last week’s Zanu PF Women’s League elective conference in Harare, where the assembled dignitaries made two significant decisions. 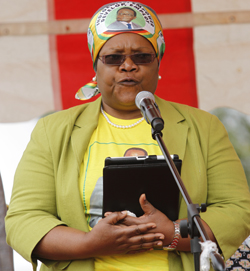 Second, they decided to nominate a certain Grace Mugabe to the prestigious, influential position of women’s league president – a decision that is almost certain to be confirmed at the Zanu PF annual conference in December. Shameless nepotism aside, what makes her nomination even more remarkable is that the women’s league had to break its own rules to make it happen. These rules clearly state that any office bearer must have actively served the party for 15 years, including five years in provincial structures. 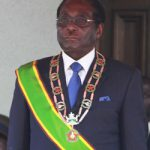 Grace Mugabe falls well short of these requirements, having spent the time since her marriage to Robert in 1996 running a dairy farm, amongst other extensive business interests, and conducting humanitarian work (the need for which has been greatly exacerbated by her husband’s social and economic policies). No matter. This is Zimbabwe, where all too often rules are made to be bent or broken (sometimes, rules are actually made specifically to allow transgressions, such as the extraordinary provision in Zimbabwe’s Constitution which suspends key clauses for the next decade – ensuring, in other words, that they never apply to Mugabe). More interesting however, is what this tells us about the power games at the very top of Zimbabwean politics. Of course, attention has quickly focused on that succession battle, which pits two influential factions against one another. In one corner is former spy chief and now justice minister Emmerson Mnangagwa, thought to represent the party’s hard-line, conservative elements; in the other is vice-president Joyce Mujuru, who’s a little more moderate (these things are relative, remember). Last week, the Mail & Guardian ran an excellent piece on how Grace Mugabe’s entry into active politics has “shaken the power dynamics in Zanu PF” and destabilised the Mujuru faction. 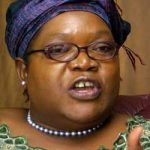 “The Mujuru faction looked all set for a clean sweep at the [December annual] congress, paving the way for Mujuru to succeed Mugabe. With Grace entering active politics, the Mnangagwa faction was given a huge shot in the arm and panic hit the Mujuru camp,” it explained. 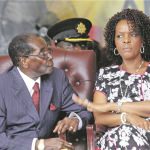 Apparently Grace Mugabe and Joyce Mujuru don’t get along; and Grace is also looking to secure her own future, nervous that the president’s death would leave her vulnerable. It’s an interesting analysis, and probably accurate. But it obscures the bigger picture, which is that neither the Mujuru faction nor the Mnangagwa faction has the upper hand – not even close. That honour, of course, belongs to the Mugabe faction, which is still firmly in control of Zimbabwean politics. There’s nothing to suggest that it won’t remain so for some time to come.